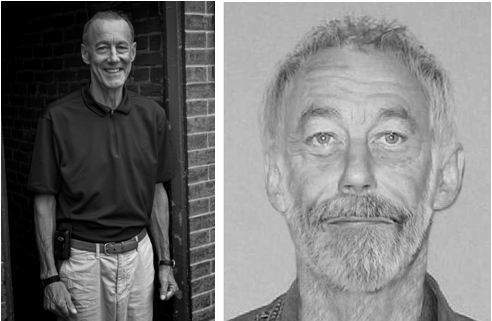 UPDATE: 3/3/14 – A hiker found skeletal remains while walking near the University of Delaware that has been identified as missing John Dohms, the retired professor that went missing in 2012. The remains were found at around 4:30 p.m. Friday when the hiker, who was searching off trail for antlers shed by deer. Dohms was identified through dental records and the cause of death has not been released at this time. UPDATE: Police have released a photo of John that shows him looking older. John Dohms, 64, has been missing since Sept. 15, 2012. He was last seen around 7:45 p.m. near North Star Elementary School. John is a professor at the University of Delaware professor and he went out for a walk and never returned to his Newark home. The university is offering a $10,000 reward for information on his whereabouts. John Dohms was headed north on Creek Road into White Clay Creek State Park, wearing a bright green button-down shirt, khaki shorts, green socks and white tennis shoes, reports, reports Delaware Online. Dohms also wears a medic alert bracelet on his left wrist and may have been carrying a set of binoculars. Dohms’ family has created a Facebook page at www.facebook.com/HelpUsFindJohnDohms. Anyone with information on Dohms’ whereabouts should call 911 immediately. For information on the reward, call UD’s Office of Communications and Marketing at 831-NEWS.